Guillermo Del Toro – famed movie writer/director who leaps great bounds between astonishingly talented (Pan’s Labyrinth) and results that could only be made worse if they were physically jammed into your eyes (Blade II) – has bad news. He’s announced he’ll never work on a video game again for fear of ruining the lives of the developers he works with. As you have probably been aware of for while, the partnership between Del Toro and Hideo Kojima ended when Kojima Productions was absorbed by the pulsating gelatinous evil that is Konami. This resulted in the cancelation of the highly anticipated Silent Hills, which itself was preceded by Del Toto joining the ill-fated THQ to direct inSANE for a 2013 release. Sadly the gamer world just isn’t too accommodating to Del Toro and THQ fell apart too, so now he’s vowed off video games forever. Del Toro and Kojima undoubtedly found their creative skills complementing each other. Both deal with the fantastical and surreal, both favour spectacle over the suspension of disbelief and both have the attitude towards women of an eleven-year-old boy from the 1940s. 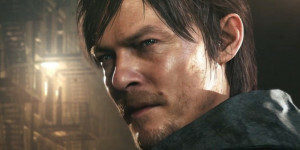 Konami have promised to continue making Silent Hill games, but now without Del Toro. Since the press surrounding Konami is already so hostile, it’s reasonable to expect that gamers and journalists everywhere will take the opportunity to blame them for Del Toro’s disappearance from the games industry. Along with Japan’s low birth rate, the fact that girls don’t like them and why the sun doesn’t stay in the sky all the time.